No, seriously, this is what beauty shopping feels like for me: I float outside of my body, when I’m, like, at Sephora (or any beauty store really), and next thing I know, I’ve got a bag filled with beauty booty in my hand, and I’m walking out the door, and I have no idea what just happened! It’s like I go into a fugue state or something. So yeah. That’s more or less what went down when I grabbed a few beauty bits and bobs last weekend, including some things from the Sephora VIB sale. 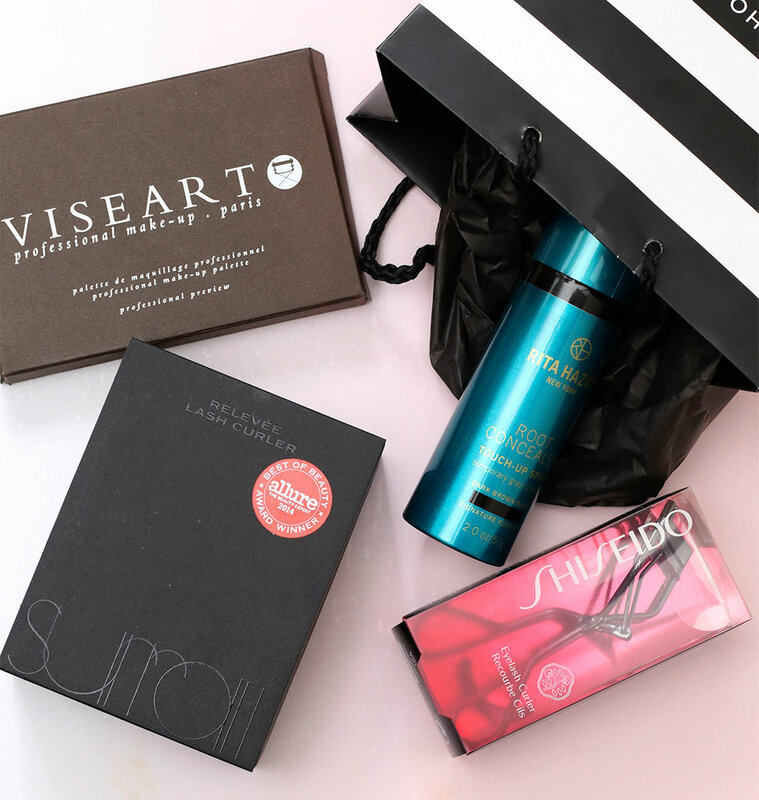 It started with the Viseart Neutral Matte Eyeshadow Palette, OMG! I’ve been lusting after this thing for FOREVER. It was sold out online but the store had several palettes on the shelf, which I took as a fortuitous sign from the beauty gods. I grabbed one, walked around with it for 45 minutes, and then next thing ya know, BAM. I’m strolling out of Sephora to get frozen yogurt with my friend Marisol, and the palette’s in my hot little hand. 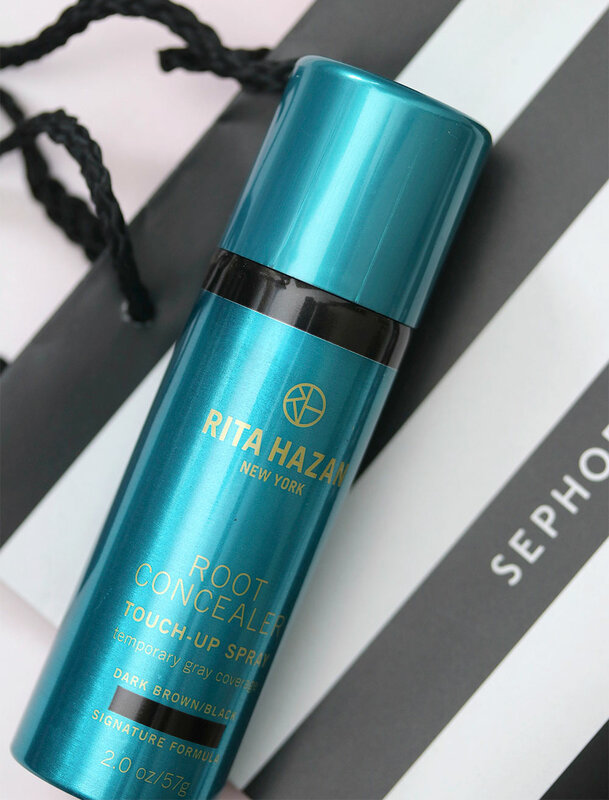 Until I can figure out how to successfully dye my own hair without completely mucking it up, I’ll always and forever keep a supply of Rita Hazan Root-Touch Up Concealer on hand. I couldn’t find it on the shelf at first and panicked, but then I asked one of the associates to please look in the little drawer underneath the display, and inside there were a few extras tucked away. Never hurts to ask, right? Um, so… the whole out-of-body beauty experience didn’t stop there. 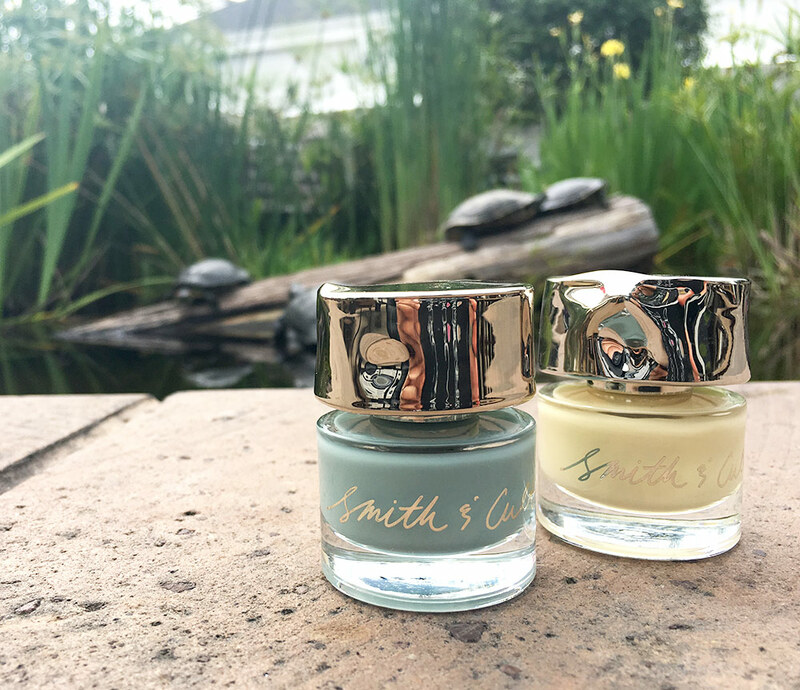 The next day, I grabbed a couple of Smith & Cult Nail Polishes from Space NK, The Bee Side and Bitter Buddhist, and a tube of R+Co High Dive, because I completely cleaned out the salsa tub-sized sample that my friend Alis hooked me up with, and now I’m totally and completely addicted. Have you grabbed any new beauty goodies lately? I love the Shisheido eyelash curler! It’s amazing for my lashes and it’s become a necessary addition in my beauty bag. Alas- I’ve been getting a few new goodies recently from Marc Jacobs, Charlotte Tilbury, Dior and Chanel but I’m using them all so I can justify it this way at least! Yes, at least you’re using them! Better than just keeping them on a shelf, ya know? I have to take about 1,000 pictures of it before I can dig into it, LOL! Which ones do you have again? And which one is your favoirte? If I fall in love with this one I’ll have to check out the dark mattes next. 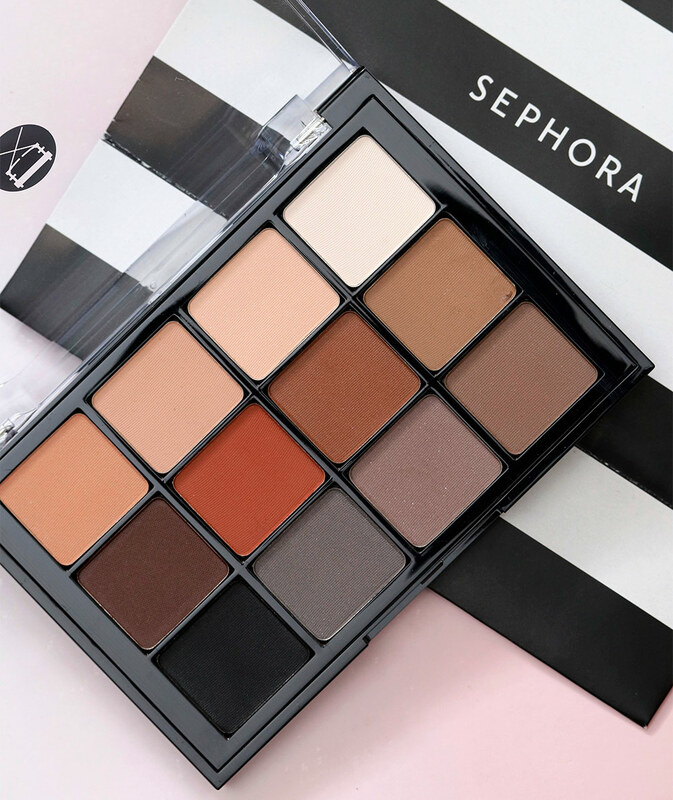 I love me a great matte palette; they’re so versatile. I bought a lot of stuff during the Sephora and Ulta sales! A really nice hairbrush, some new haircare products by LongSexyHair, two UD eyeliners (including a neon green I’m super excited about), a new liquid liner from Butter London which I’m kind of meh on, restocked my Clinique Pretty Easy Liquid Lining Pen, the Nars Pure Radiant Tinted Moisturizer, a new mascara, the new GlamGlow setting spray, the new EcoTools blending sponge and I restocked my Nars Pro Prime eyeshadow primer. I also restocked my vitamin c masks and serum from Wishtrend. Time to not buy things for a while! Nice haul, Chelsea! What brand is your hairbrush? I’m looking for a new one. Hope you and the fur family had fun over the weekend. Is Henrietta settling in? Olivia Garden, from Ulta! I got their Divine Care and Style DV-4 brush for my fine, straight hair. Henrietta is doing so well! We just got back from a walk to the park, and she is passed out, belly up on the couch. Kitties are doing well with it too! For a second I read “Olivia Garden” as “Olive Garden.” LOL! Never heard of that line, so I had to look it up, and now I’m intrigued by this paddle brush. So what is Henrietta’s adoption story? How did you guys meet? Ahh, I’m sorry for the late reply! We decided to check out the local humane society because Zack had been wanting a dog, and Hettie just caught our attention! We went back two days later to take her on a walk, and we took her home the next day. Luckily the other doggies we loved got adopted too! Aaah… this happens with me, too. I usually go to the makeup store just to “sniff” what’s new, then this “pass out” happens with me and I realize eventually I’ve full bag of beauty products. My last purchase was Charlotte Tilbury’s goodies on web. Bought her Bronze Goddess palette and lipstick in “Valentine “. Her products are so amazing!!! I’ve been drooling over her products for so long. She has a new eye and cheek palette that I’m dying to try! AHHHH! Oh, yes, that’s the palette bought. Not Bronze Goddess but Beauty Glow (that’s what happens if you write at late night :D). The bronzer andd highlighter and one eyeshadow is the same as for Natural Beauty palette (I own it, too) but the blushers are more intense. Anyway – worth buying it, because you’ll be wearing it a lot. Thanks, Lelde. I like to have some pigment since my skin is tan and all; I’m hoping that I can swatch it soon! Yay! I got a lot of stuff at the VIB sale, a lot of NARS plus some Bite stuff. I also got some skincare stuff. ?Karen! I’ve had stuff in my sephora cart all day and have hesitated to pull the trigger because I just did some damage with the Ulta sale. But your post is making me want to checkout right now. Gotta get to it, just a couple hours left. ? Ooh, what did you end up grabbing at Ulta? I want to know! I love the Shiseido Eyelash Curler. 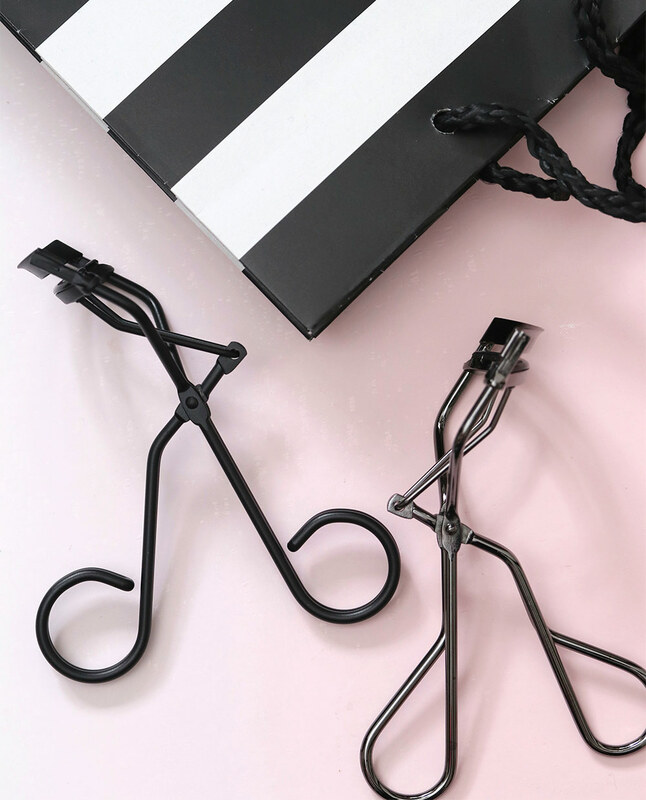 It works better at lifting and curling lashes than any other eyelash curler I’ve tried. No, I have been really, really good and have not been shopping lately. Still have so much stuff that needs to be used first. Argh! I forgot that yesterday was the last day of the Sephora sale and I was going to make another on-line order. Trying to find a really moisturizing eye cream. 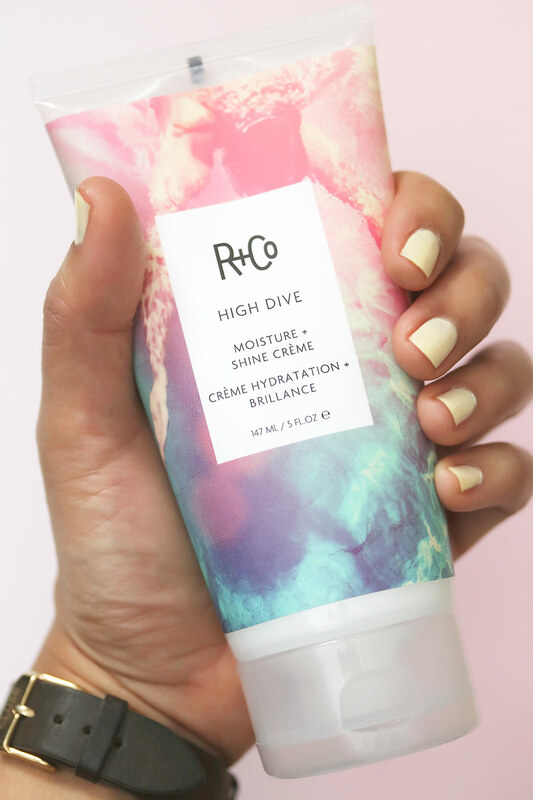 Does the R+Co High Dive Moisture Cream smell as good as their other products? I’m wanting to find a good moisture/conditioner/balm that also smells good. The drugstore one I use got reformulated and the scent was switched from creamy, nutty, woody to straight up fruity. Of course I hate fruity sweet smells. Have you done a previous post on R+Co? I saw this brand and was really interested in it because the packaging is super cute lol. I’m such a sucker for hair products. I’m currently loving the Living Proof Full Dry Volume Blast, its my first venture into texturizing sprays and now I want to try them all!! !